The Anita White Foundation (AWF) hosted an afternoon roundtable discussion on women and sport in Africa on Tuesday 25th October 2016. An audience made up of academics, students and AWF supporters gathered to hear Professor Kari Fasting (Professor Emeritus at the Department of Social and Cultural Studies of the Norwegian School of Sport Sciences in Oslo, Norway) and University of Chichester colleagues Dr Jordan Matthews (Senior Lecturer; coordinator of the Anita White Foundation) and Lombe Mwambwa (PhD student, Department of Sport Development and Management) discuss the context and challenges for African women in sport. Each scholar drew upon their personal experiences of research and organisational activism within Africa. Lombe Mwambwa began the discussion, giving an overview on the current state of sport for women in Africa. Lombe is General Secretary of the National Organisation for Women, Sport and Recreation in Zambia, and joined the University of Chichester in 2015 as a doctoral student studying women and sport leadership in Africa. Her presentation discussed issues affecting African women in sport, such as politics, policies, laws and excluded populations, as well as opportunities for the future and key questions that need to be asked going forward to continue to develop sport in the region. For example, Lombe discussed the need to answer the thought-provoking question ‘what is ‘good’ sport?’ within the context of Africa to enable a more effective development of women’s sport and the issues surrounding it. 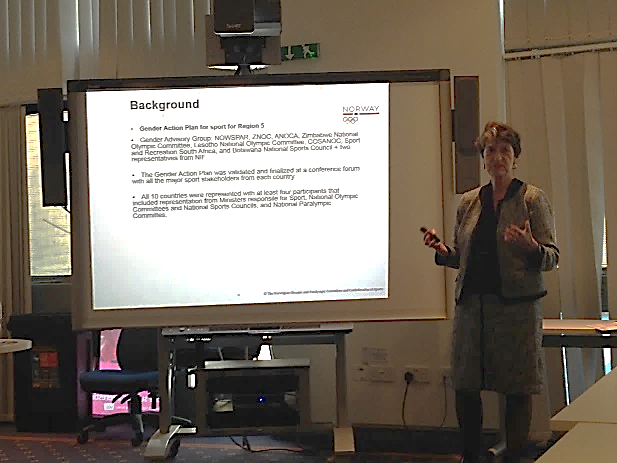 Following Lombe’s presentation, Professor Kari Fasting discussed two research projects she has conducted on women and sport in southern Africa on behalf of the Norwegian Olympic Committee. The first of these projects was a baseline study on gender, participation and leadership in five countries in southern Africa. Professor Fasting discussed the underrepresentation of women in both the participation and leadership of sport, due to factors such as violence and abuse, social stigma and social expectations for married women. Based on her findings, Professor Fasting offered a number of recommendations to improve the situation in the region, including educational courses in sport, the development of preventative tools against violence, and the recruitment of more female coaches and administrators. 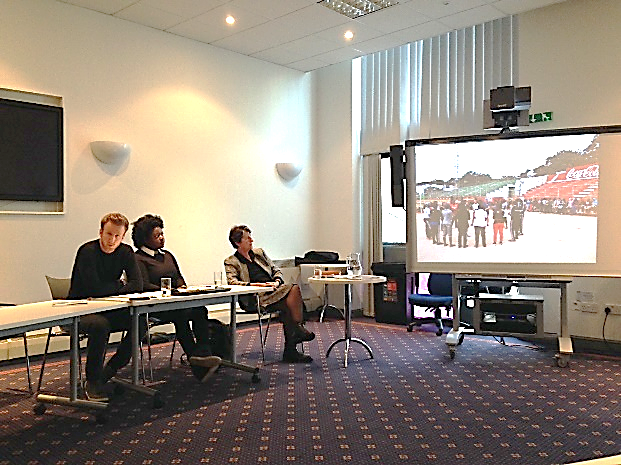 The second of Professor Fasting’s studies focused on sexual harassment and abuse in Zambian sport. Findings included a high prevalence of harassment and abuse within Zambian sport, and a surprisingly even distribution across the sexes of both victims and perpetrators of abuse. Again, Professor Fasting offered a number of recommendations based on these findings, including mandatory procedures to handle cases, educational workshops and programmes, and media awareness campaigns. Dr Jordan Matthews was the final presenter of the afternoon, and he gave an insight into his various visits to Africa in the last two years. He first spoke about the work he has carried out in Tanzania which had two purposes; to support University of Chichester students on their UK Sport International Development through Excellence and Leadership in Sport (IDEALS) programme, and carry out research on women leaders in sport from local level to national level. The UK IDEALS programme allows University of Chichester students to spend a number of weeks coaching sport in Tanzania, and promotes the sharing of ideas and practices across the two cultures. Dr Matthews, who is part of an international research team conducting a commissioned global report on women and sport, concluded his discussion by reporting on his recent trip to Botswana where he was an invited speaker at the Africa Women and Sport Conference. Dr Matthews received a researcher development award from the University of Chichester which allowed him to present his work on the history of the documentation of the women’s sport movement. 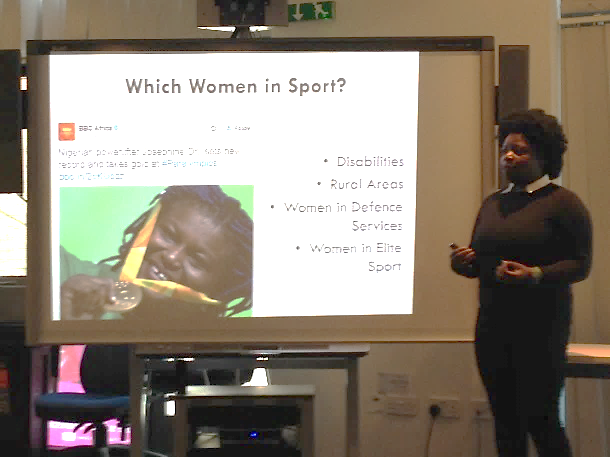 He spoke of some of the challenges of the conference, including gaining the respect of the audience as a white, male researcher presenting at a conference focusing on the development of women’s sport in a predominantly black country. 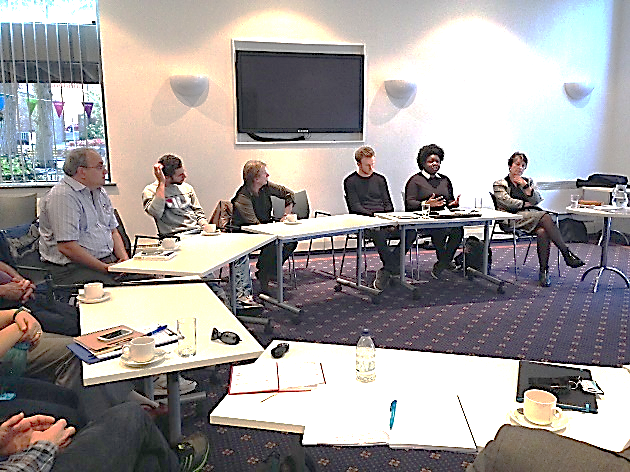 The afternoon ended with the panel responding to questions and comments from those in attendance. This including questions on language barriers for researchers and the issues with research in Africa being conducted through a Western lens. Following the formal discussions, informal discussions continued around some of the issues presented, a clear sign that the event had informed and challenged the perceptions of those in attendance on a typically under-discussed area of sport.